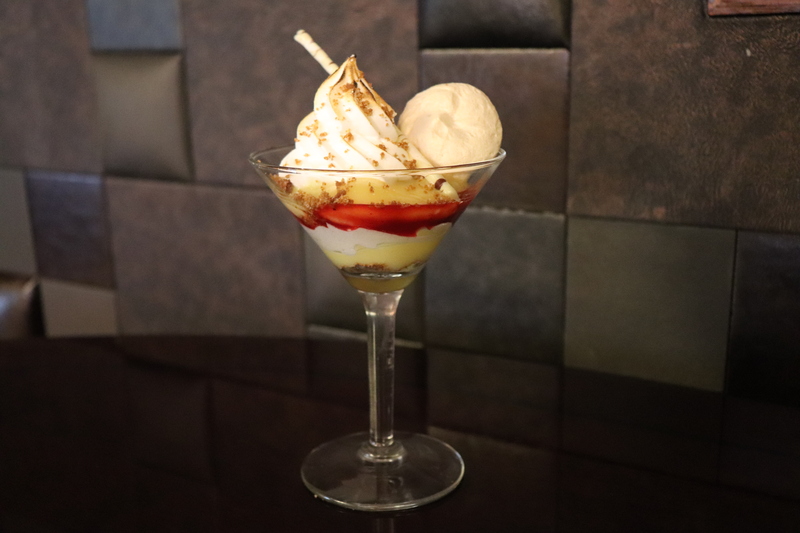 All Roads Lead to Dessert! Take a look at our new blog, where we take you on a journey to the west coast! We are always learning and discovering new concepts to share with our customers and I think anyone with a sweet tooth will enjoy with one! 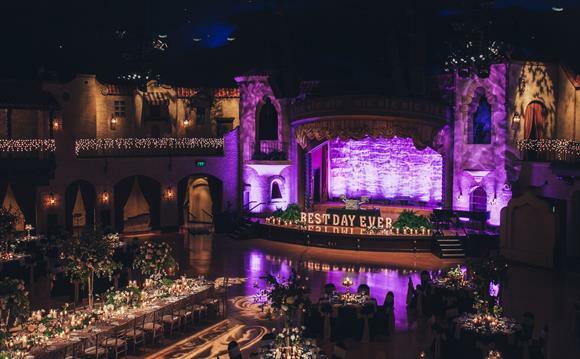 The Indiana Roof Ballroom, a premier venue located in downtown Indianapolis, replicates a quaint, European Village and offers many unique features for your event. 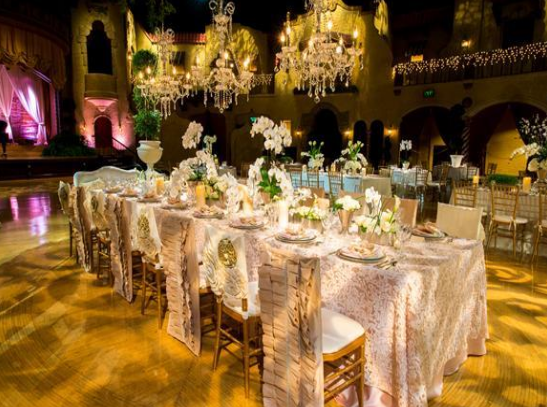 Weddings are soaring to new heights, here at the Indiana Roof Ballroom! Out 36 foot ceiling will make you and your guests feel like they are truly under the night sky – gazing up at the simulated stars and moon that complete the romantic look and feel of the evening. We often have an opportunity to tie in themes with menu presentation to enhance the overall guest experience. 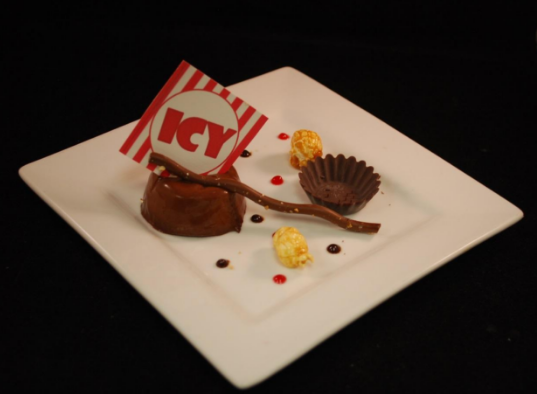 Recently we were asked to create menus with upscale concession food. Many large arenas around the United States have elevated the level of service and food in the private suite areas to offer upscale dining, however, the client wanted the more common comfort food that we all seek when at a ball game. The 2016 Indianapolis 500 was one to remember! Race weekend’s most exclusive party, the KeyBank 500 Festival Snakepit Ball, was held at the Indiana Roof Ballroom. 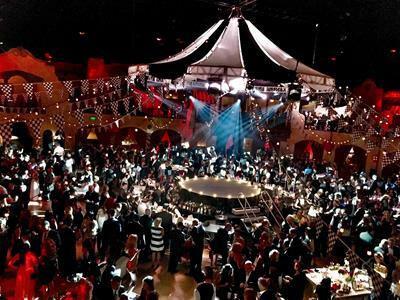 To help celebrate the 100th running of the Indy 500, the theme was Spectacle: A Night Circus Celebrating the Greatest Spectacle in Racing. Jake & Kristen had their wedding reception at the Indiana Roof Ballroom! The theme was "Best Day Ever", which was perfect for the occasion. It was such a gorgeous night, filled with happy tears, laughter, and dancing. 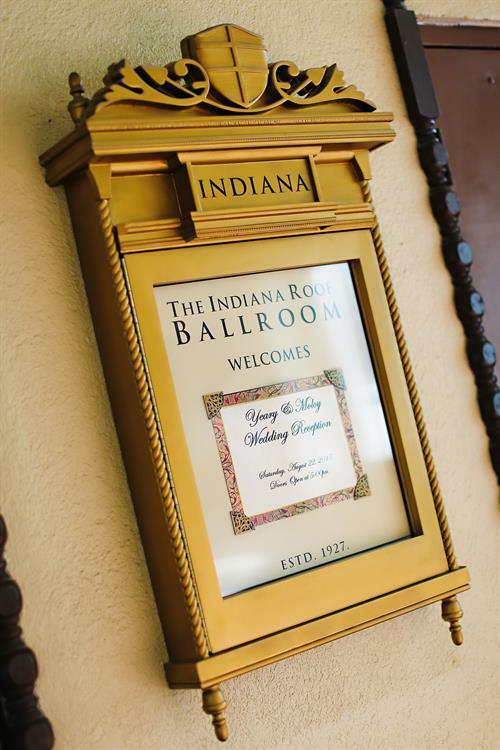 Vanessa & Dusty had their wedding reception at the Indiana Roof Ballroom, and it was amazing! The photos by Jessica Strickland Photography show that everyone had a great time! The Roof offers many unique options for brides, and these wedding photos showcase our customization, the unique decor, bouquet toss, sparkler exit, and more. 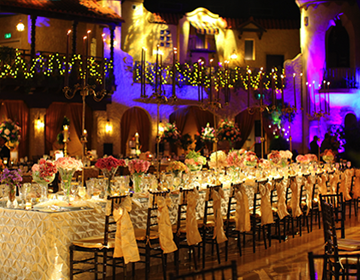 Our staff is here to help create your dream wedding. 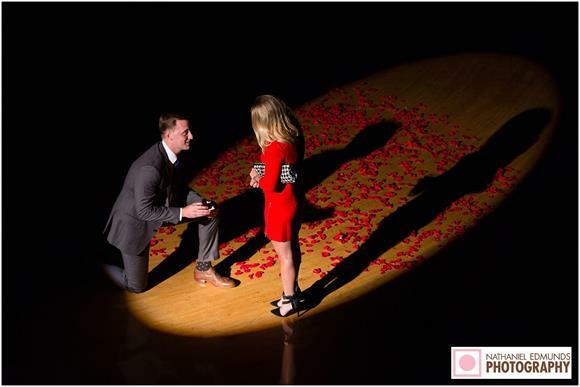 We had the opportunity to be part of this surprise proposal at The Roof! 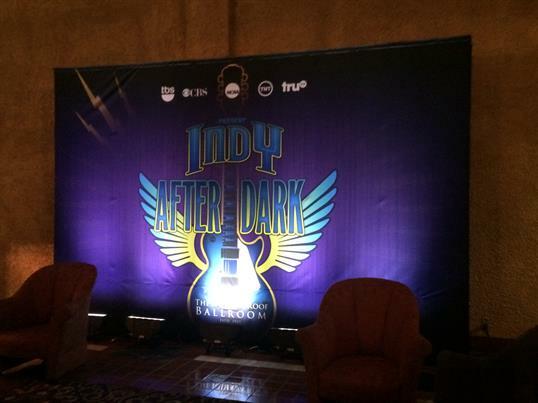 "Indy After Dark" Final Four Kickoff Event! Turner Broadcasting held the event “Indy After Dark” at the Indiana Roof Ballroom Friday April 3rd during the Final Four festivities. Some of Turner’s most popular branded channels include, Carton Network, TNT, TBS, TruTV, and CNN Worldwide. This past Wednesday, the Indiana Roof Ballroom hosted our first Group Corporate Tasting, which debuted our new Winter Menu. 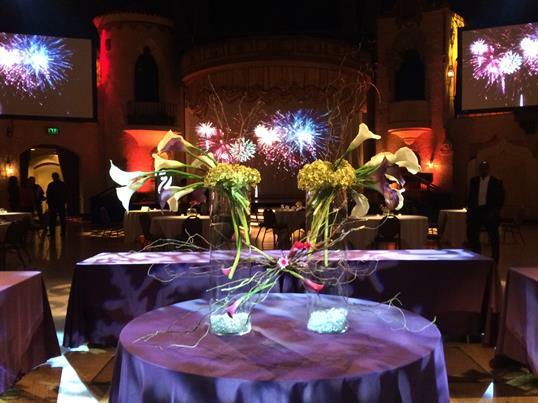 Setting the scene for the wonderful evening, Markeys' stage screens transported guests to another world with designs such as fireworks, seasonal leaves falling off of trees and fire. Guests were then welcomed with specialty drinks, some of the favorites being the Chai Chatta Latta and the Flying Fire, which featured a Ghost Pepper infused Bourbon.